Here’s a short board game blog! I’ve decided to list my favourite five “large group” games (usually for 4 or more players), in no particular order. So, let’s begin! Some of you will be Shadows – that’s vampires, demons, werewolves – and some of you will be Hunters tasked with killing these monsters. Some of you may just be innocent bystanders caught in the middle of the battle. Nobody knows who anyone else is, but using deduction and your wits you must work with your kind (Shadows or Hunters) to defeat the other group. A great, simple game that takes about an hour to play. 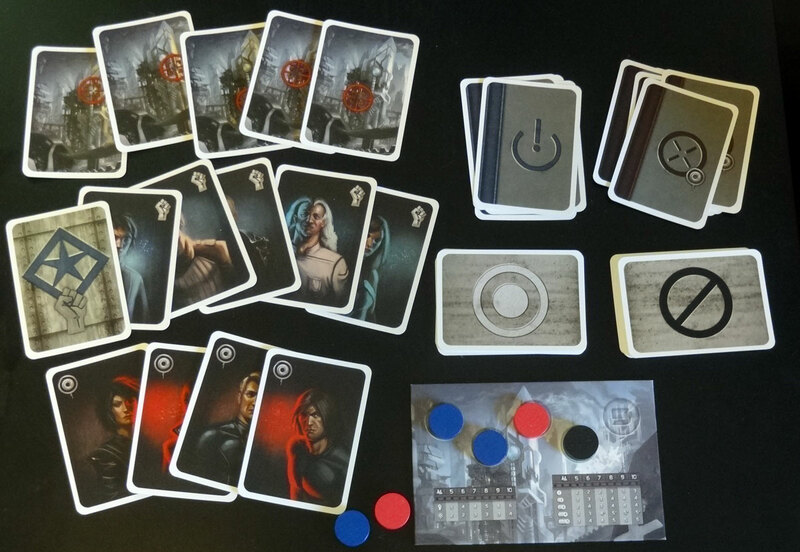 Use your influence over members of the court to lie, swindle and murder your way to victory. 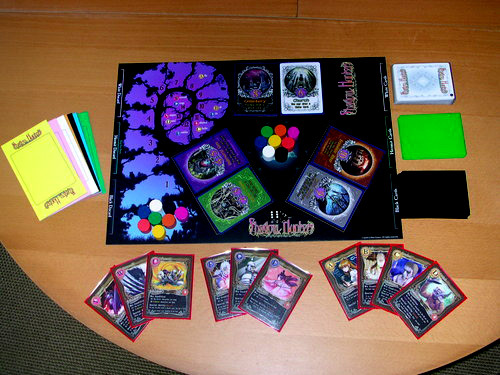 Deceive your opponents and wipe them out in this hidden role card game which is guaranteed to get the group engaged! Can be played out in half an hour depending on the speed of your decisions. The daddy of all hidden role games. Teams of villagers and werewolves pick each other off night and day. Kill the werewolves and the villagers win, but be sure to lynch the right person or the number of still living, innocent villagers will quickly dwindle. Takes about an hour and a half to play out but involves lots of player elimination. 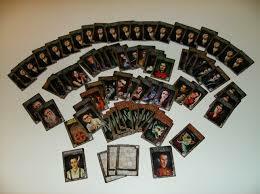 Try One Night Ultimate Werewolf for a quicker game with no elimination. 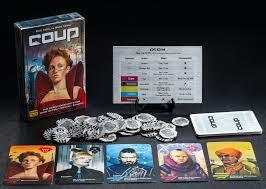 Another fantastic hidden role game set in the same universe as Coup. This time, instead of influencing the court, your task – as resistance members – is to bring down the corrupt government by completing missions. But be careful, there will be government spies among your number hell bent on sabotaging your cause. 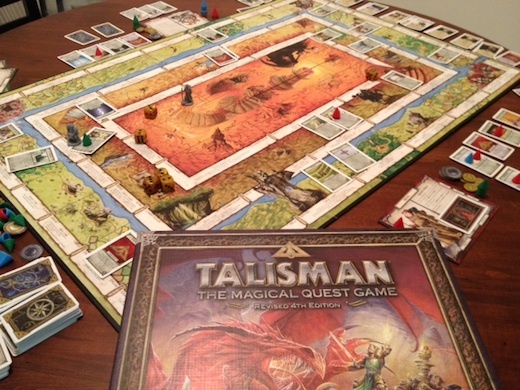 This is a huge favourite in our group, eliciting so much excited conversation after each game. The most board game-like game on the list. Choose a character and roll the dice. By moving around the lands in your quest for the Crown of Command you will level up by fighting wild animals, terrible spirits and giant dragons! The first person to gain the strength to reach the centre of the board (no easy feat) claims the Crown and uses their power to destroy their opponents. This game can take HOURS to play, but is so simple and enjoyable that you can drink and chat while you play. This is my Childhood Game. So there you have it! It’s mostly hidden role games and lying to your mates! That’s what makes a large gaming group happy! I would recommend every game on this list. I am a strong believer that everyone – not just gamers – should own a at least one of the above. Thanks for reading. Well I’m a huge fan of Articulate for large groups. I have played very few board games though, I could do with trying some new ones. I like the sound of shadow hunters! These sound great! I hadn’t heard of any of them. Thanks for sharing. Carcassonne – tile-laying game, great fun! Survive! Escape From Atlantis – save your people from the sinking island! Ticket To Ride – build train routes across the globe, set collection game! There are loads more, let me know if you’re interested.